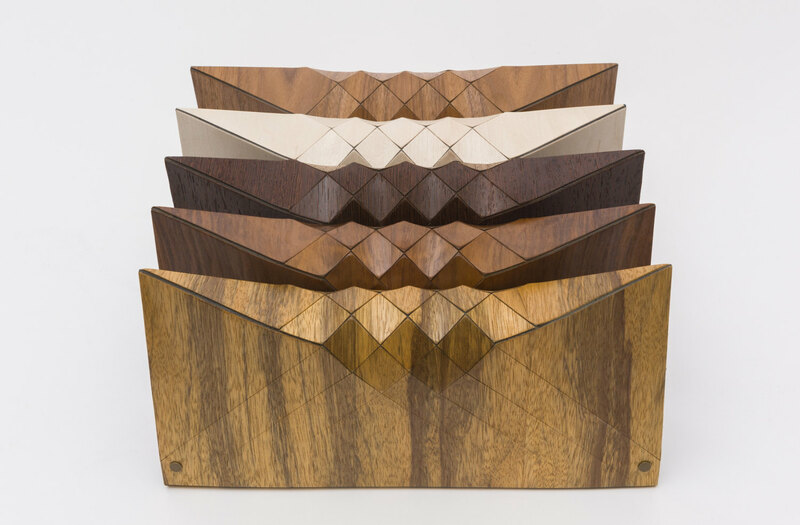 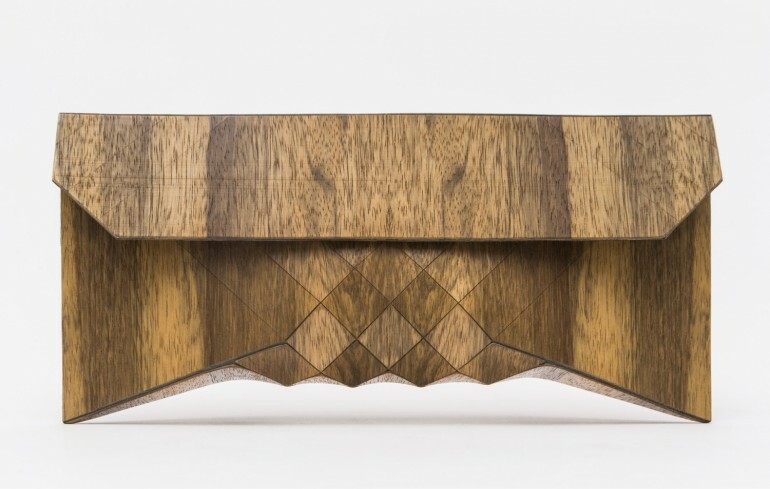 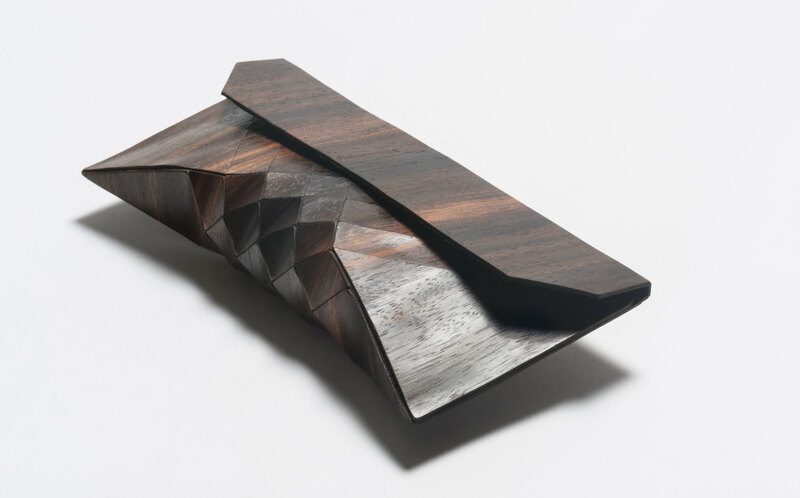 These architectural looking, artisanal ”wood skin” clutches are constructed from 100% wood, 100% hide. While the geometric surface design provides necessary flexibility, the wood texture is soft to the touch, at once both delicate and wear resilient. 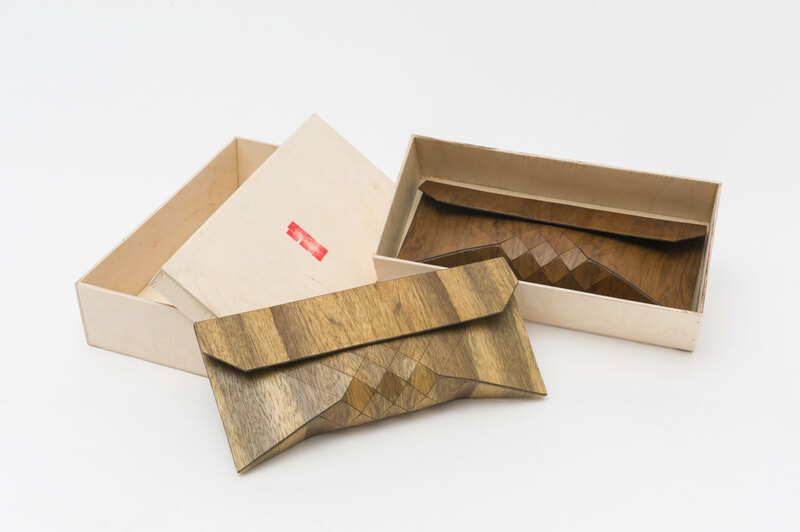 Featuring a magnetic clasp and a soft underbelly for a comfortable grip, all wood used in our designs is hand-selected, individually and meticulously crafted to a high quality standard. 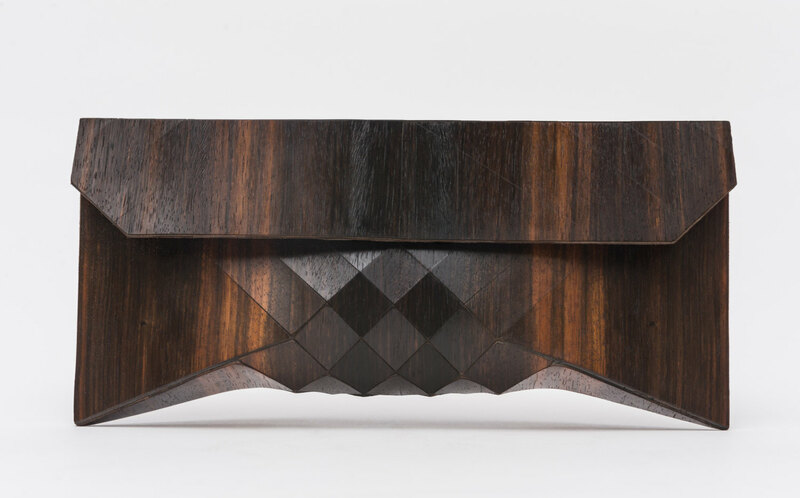 Due to the natural grain and tone changes in wood, each clutch will differ slightly and no two will ever be identical. 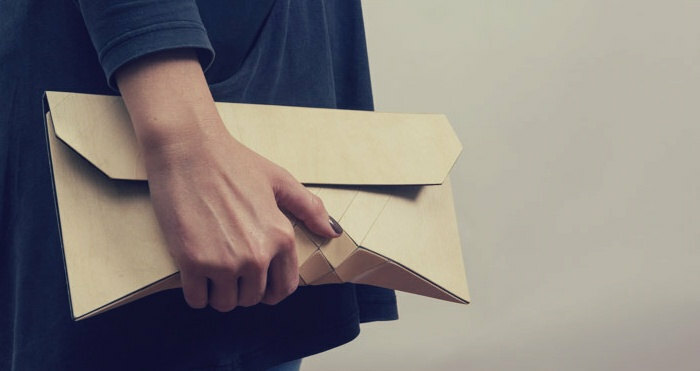 This item is Made To Order so please allow a little extra time for its production and dispatch.